Random Film of the Week: High and Low | "DESTROY ALL FANBOYS!" 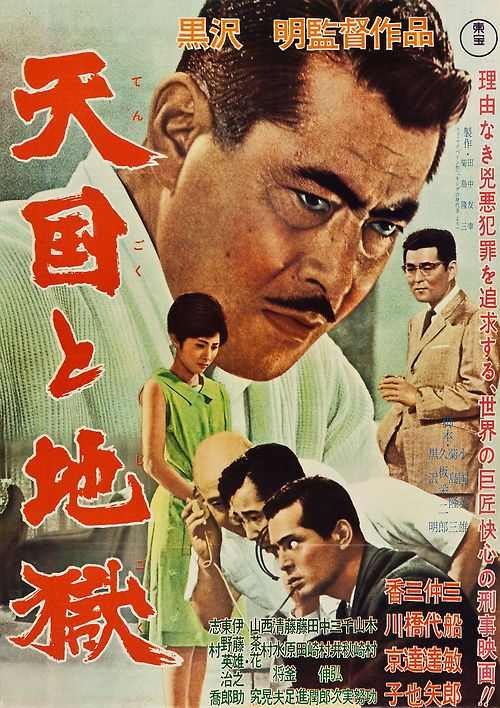 Based on the 1959 crime novel King’s Ransom: An 87th Precinct Mystery by Ed McBain (Evan Hunter), Akira Kurosawa’s 1963 film Tengoku to jigoku (Heaven and Hell or High and Low to western audiences) is one of those great police procedural films that’s a must for crime drama fans. With perfect casting, a gripping story of a kidnapping gone wrong thanks to a case of mistaken identity and the rush to find the kidnapper before things go further south, Kurosawa’s film is a multi-layered masterpiece worth seeing multiple times. When “wealthy” businessman Kingo Gondo (Toshiro Mifune) and the company he works for decide to snap up the National Shoe Company, there’s a divide between executives on how to close the deal. Gondo prefers the company stick to making well-made and reliable stompers for the masses but other big shots want shoes for all that are cheaply made and thus, more profitable because they’ll need to be replaced more often. With all the back and forth debating going on, Gondo has a master plan he’s hiding from his peers. He’s mortgaged everything he owns and plans to pull off a leverage buyout of National Shoes that would put him in charge for good and keep National doing what they do best. The evening before the buyout, Gondo’s young son and the son of his chauffeur, regular playmates, head out for for some outdoor playtime and shortly thereafter, Gondo takes a call saying his son has been kidnapped and the ransom demands are high enough that they’d destroy his takeover plans. When his son returns shortly afterward, there’s relief and even the thought that the call was a prank possibly set up by the other execs until the realization that it’s his chauffeur’s son who was grabbed. Gondo now faces a moral dilemma, the first or a few the film rolls out. Pay the ransom for the kid who’s not his, have a clear conscience and lose National, or not pay up, grab National for himself and his family’s future while being the man who doomed someone’s child out of greed and a lack of simple human decency. The police are brought into this mess and Kurosawa deftly splits the film into the meticulous investigation of the crime while keeping the dramatic elements of character development and race against the clock ticking away seamlessly. Gondo’s fellow execs come off as more than happy at his misfortune and in a way, just as inhumane as the kidnapper and equally calculating once they figure out it’s the chauffeur’s son Gondo may go broke over. Meanwhile, the police use forensic work, lots of legwork and other realistic for the era procedures that keep the plot flowing and always engaging. The act of tracking ransom money that’s to be tossed from a moving train or how a phone call from a public booth is traced to its source partially by using background noise are two key moments in the investigation. Both lead to different results, but even the mistakes made have good results for some people in the film. Gondo has to deal with his backstabbing cohorts and now unstable finances as the police think they’re closing on on the identity of the kidnapper. A twist sends them in another direction and the film takes a few darker turns as that part and the aftermath reveal what’s what. When the mastermind is finally discovered, caught and Gondo gets to hear him out, it’s a disturbing moment that reveals some crimes just happen because unbalanced people latch onto the desperate idea of doing something evil merely by seeing something that sets them on that path. The hateful rant delivered by the kidnapper is mostly senseless and the film closes on that note, leaving viewers with plenty of questions but no completely clear answers. On the other hand, the children of both the rich man and poor one are none the worse for the wear thanks to the dedicated police work done by men who take their job seriously. As Gondo, Mifune is all well-manicured and well-mannered at the films start, then goes into a mix of disheveled, coiled rage, puzzlement and despair when the kidnapping occurs and he realizes that no matter the outcome, he’s going to lose something important to him. The film also has solid performances from some Kurosawa regulars such as Takashi Shimura, Tatsuya Nakadai, Kyōko Kagawa, Takeshi Katō, Isao Kimura, among others. This is one of those movies where you may have seen many of the faces in previous Kurosawa (or other) films, but each actor is so immersed in his or her performance that the illusion is perfect. Kurosawa’s choice of widescreen shooting makes the film even more brilliant. Gondo’s spacious condo (heh, okay home) on the hill is the focus of the first part of the film as the kidnapping happens (off screen), the police arrive and start their investigation and eventually get Gondo onto that train with the ransom money that also leads to the second half. Here, it’s the crowded, dirty lower city that’s the main focus as the police do their own dirty work in scouring the alleys full of drug addicts and other lowlifes who just so happen to also be human beings. You could say the corrupt businessmen at Gondo’s company are in a way, worse than the addled, zombie-like denizens who swarm one alley scene when the kidnapper is on the prowl for a different sort of victim. There’s also an undercurrent of social commentary in the film, but it’s up for debate how to look at it. Kurosawa takes a trip through Yokohama’s grimy back alleys and criminal underworld, but there’s also a stop at a raucous dive bar/restaurant that serves cheap food and has a mixed race clientele. The scene is pretty bouncy with loud modern music and happy bodies dancing to the beat, but it could be seen as a sort of demise to the old (and yes, somewhat stereotypical if taken too far) ways of traditional Japanese life. Kurosawa’s earlier film The Bad Sleep Well (another Criterion Collection disc worth buying, was a somewhat Shakespearian tale with a modern twist that was distinctly still quite Japanese. High and Low’s division (that still references Shakespeare if you look for it) shows that old guard crumbling away as new (and possibly unwelcome) strangers bring a bit of culture shock to the area with mixed results. If you’re looking to own the film, Criterion has it on Blu-Ray and DVD, with the Blu-Ray getting a new high definition digital transfer in DTS-HD Master Audio. Both versions offer four-channel surround sound, audio commentary by Akira Kurosawa scholar Stephen Prince, a 37-minute making of documentary, a rare 1984 video interview with actor Toshiro Mifune, a new video interview with actor Tsutomu Yamazaki and of course, Theatrical trailers and a teaser. Finally, there’s a booklet featuring a new essay by critic Geoffrey O’Brien and an on-set account by Japanese film scholar Donald Richie that worth a read. 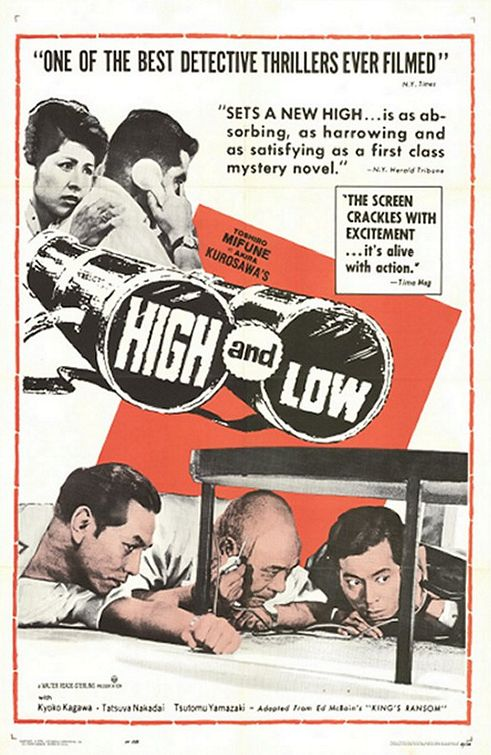 If your only exposure to Kurosawa has been through his samurai epics or someone dropping his name in conversation about film, High and Low is a great way to experience the director at his peak in a more modern Japanese setting. Wait! Before you scoot off to buy your own copy or scour TCM‘s schedule for a showing (they usually run a marathon of Kurosawa films on his birthday, March 23), this post just so happens to be part of The Criterion Blogathonheld by the fine folks over at Criterion Blues, Speakeasy and Silver Screenings from November 16-21, 2015. Yes, you should go read some of those posts once they’re up and ready to go, particularly if you’re interested in the wide (WIDE) range of movies offered up by The Criterion Collection and want to start your own movie library. This entry was posted in 2015, Commentary, DAF, Features, Holiday Gift Guide 2015, Movie Posters, Updates and tagged 1963, Akira Kurosawa, Blogathons, Blu-Ray/DVD, BUY THIS FILM!, Classic Film, Criterion Blues, Imports, Japan, Movie Trailers, Movies, Random Films, Silver Screenings, Speakeasy, The Criterion Blogathon, The Criterion Collection, YouTube by geelw. Bookmark the permalink. People tend to forget that Kurosawa made some fine non-samurai films. I’m overdue for a revisit, but this is among my favorites. I saw it around the same time that I saw Stray Dog, and they pair well. Nice review! Thank you! The funny thing is I know a few people who can’t sit through Seven Samurai because it’s too long or they aren’t fans of that subgenre. But something like Scandal or one of Kurosawa’s other non-samurai flicks would be right up their alley. Ha ha – loved your phrase “stompers for the masses”. 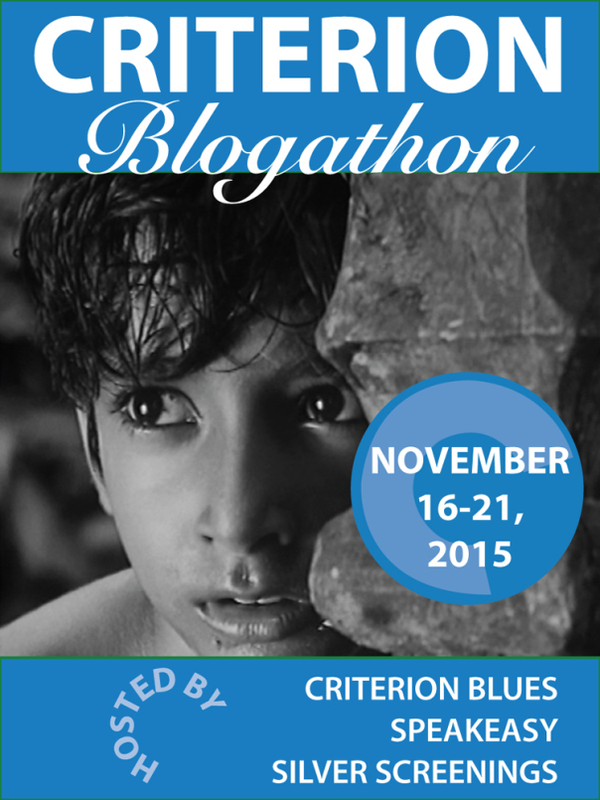 Thanks for joining the blogathon, and for bringing Kurosawa with you. Oh, you’re welcome! While most seem to know him for his great samurai films, Kurosawa’s “modern” films are all worth watching and offer nice counterparts to some classic American films we all love. And yup, I had to add a bit of humor to my review because the film is so dark once it goes into the investigation phase. Saw this recently and loved it, so interesting to see an Eastern take on a tough American procedural, and do it better in this case. Every image is suitable for framing, gorgeous movie and now I need to see some more of Kurosawa’s crime movies. Cheers and thanks for taking part in this blogathon, nice to have you join in. If you haven’t seen it yet, The Bad Sleep Well is another great Kurosawa crime drama although it’s a bit more modern Shakespearian in tone and has what I think is one of the greatest surprise moments in film you won’t see coming. Scandal is also quite good, although it’s more a take on celebrity journalism and ethics (and it’s got a few nice comic touches). Also, agreed on the suitable for framing comment. I don’t know how he got the camera to get some of those incredible shots in such detail (even while moving in some scenes! ), but it’s always struck me that Kurosawa’s style of filming demanded the best from everyone in front of or behind a camera. 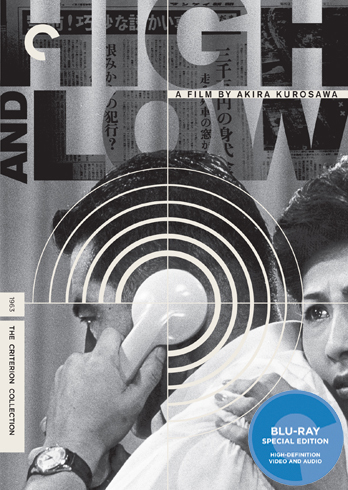 I am more a fan of Kurosawa’s “modern” films, and High and Low is my favorite, period. I love the way Gondo’s huge house is utilized, with the wide and deep spaces used to isolate him in his own home. I also love the descend into the drug den in the films final passages. Kurosawa never filmed anything remotely like it before or after, and it’s chillingly effective as an evocation of Hell. Yep, Kurosawa definitely got his camera doing some excellent stuff in this film. That drug den/alley scene is pretty frightening in a more realistic “zombie” manner when all those addicts appear and even make the undercover cops nervous. Another great shot is the camera movement on the docks because it’s got motion in a few directions but the camera catches it all yet makes you hit rewind a few times because it’s such a stunning shot. Pingback: Review: 428: Shibuya Scramble (PS4) | "DESTROY ALL FANBOYS!"